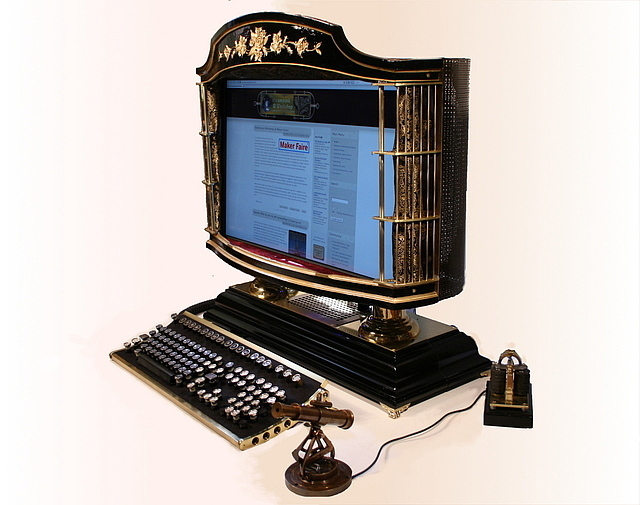 The inexorable march of technology has rendered my 4:3 aspect ratio 19″ LCD mod and my pump-less water cooled PC obsolete, so when I saw at 24″ wide screen monitor on sale for $299.00 I grabbed it with the intent on making a Steampunk All-in-One PC. 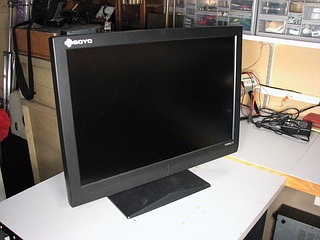 The first step was to strip down the monitor and trim it into a nice clean and even rectangle. 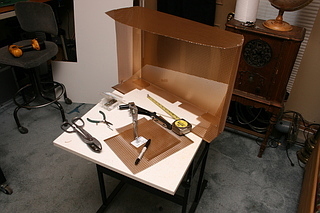 I taped some paper over the face to protect it from scratches and removed the base and back before cutting it to the desired height on my table saw. Note: turn the volume down, it came over much louder on the video then it actually was! 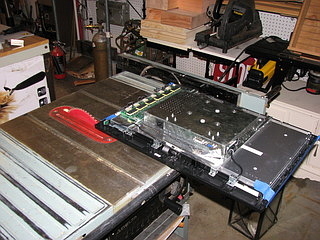 I then fabricated an aluminum plate to support the monitor, motherboard and disk drives. 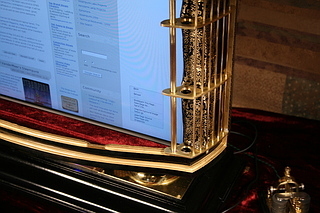 The base was made from these nice knick-knack shelves I found at our town dump. 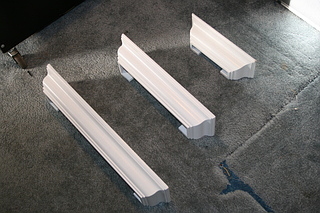 The longer of the three shelves was placed face down to form the front of the base. I cut the mid-length shelf in half to form the back. The gap this left in the back was just the right size for the circuit board from a 350 Watt PSU. 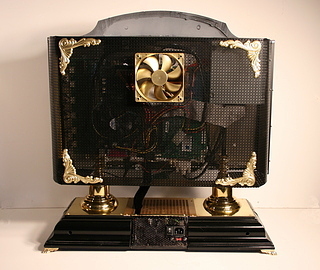 I fabricated two brass plates to cover either side and spray painted a piece of aluminum grillwork to cover the center area over the PC power supply. 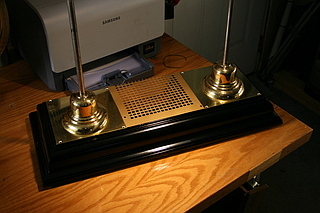 I finished the base with a coat of black spray lacquer and topped the supports off with some pieces of a brass chandelier from my junk box. 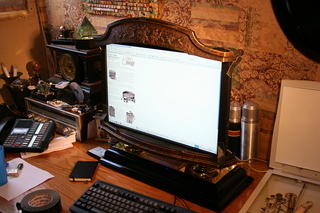 I test fit the monitor to the stand and found that the height was perfect but I needed it to lean the LCD panel back about 7 degrees for comfortable viewing so I held the support firmly in a vice and bent the base back the requisite amount using a protractor. 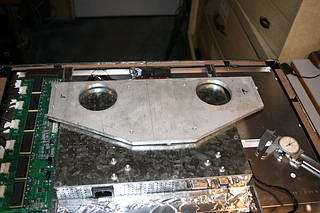 Heres the completed base showing the space for the PSU and the monitor assembled to the supports. 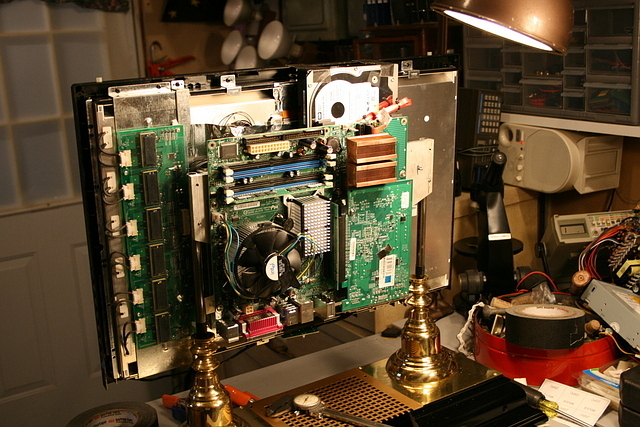 I purchased a new Pentium IV motherboard and a 250 GB SATA drive for this project. I attached the motherboard using a combination of techniques. 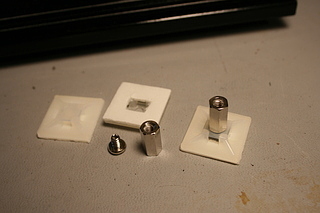 There are several 1/4″ stand-offs screwed into holes that I taped in the aluminum support and there are a number of longer stand-offs made with peel-and-stick cable anchors attached to the monitor itself. I used a 90 degree header to lay the video card flat against the mother board, this required that I make a new heat sink that would remover the heat from the narrow space thus formed. 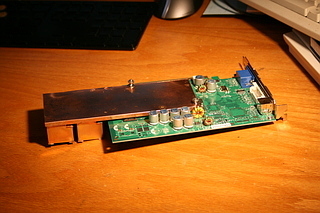 I salvaged some heat sink material from a dead video card and soldered it to a slab of copper. 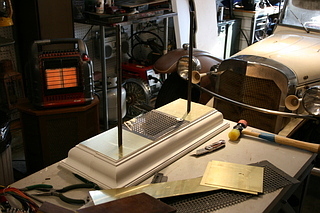 Here’s the first fitting of all of the components including the heat sink. 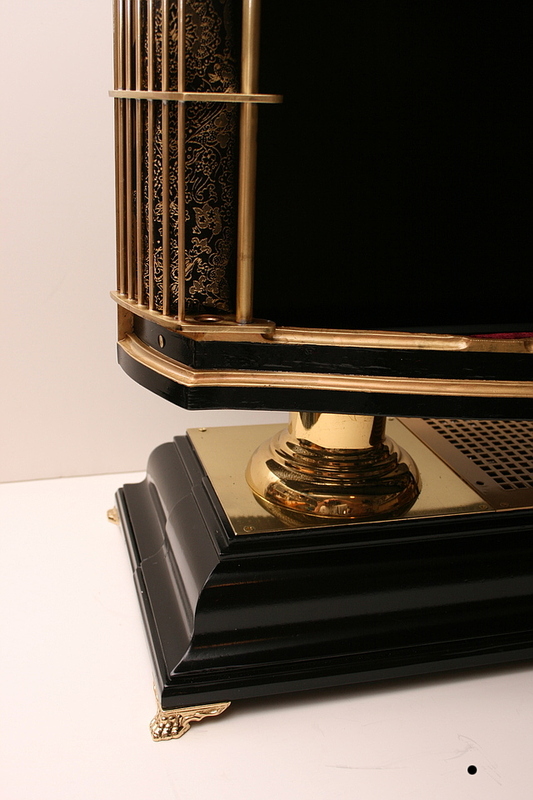 The DVD drive will go on the support to the far right and will open through the top of the completed PC. A week after finding the first knick-knack shelf at the dump I came across a second and decided it was perfect for the frame since my inspiration for this project was to make it look like a stage. 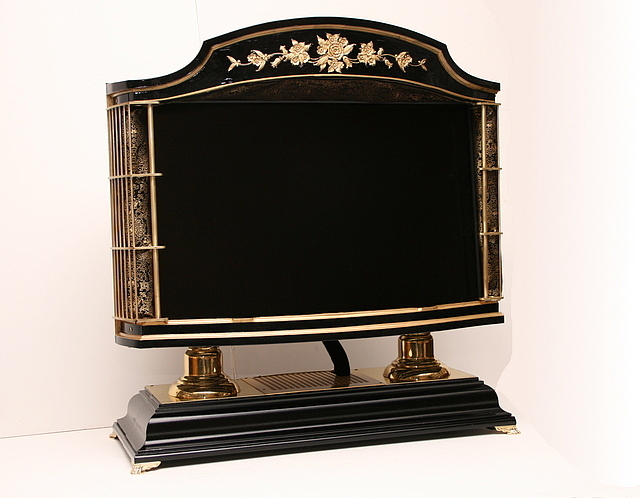 Interestingly, when I started to research Victorian era stages I found that they were all approximately 4:3 aspect ratio – the 16:9 wide-screen ratio is, of course, from the cinema. 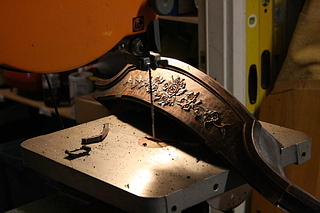 I trimmed off the pieces I wanted with my band saw. 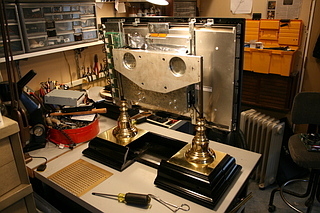 I fit the top and bottom to the naked monitor and started to think about the pieces that I would need to connect them – I felt that these needed to be brass as there is no such thing as too much of that noble alloy. 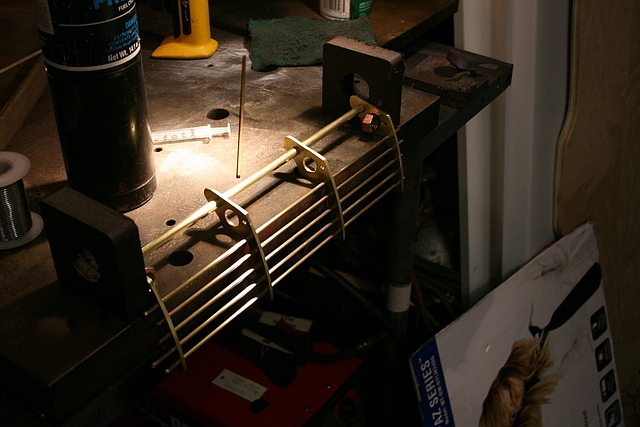 I cut some shapes on the band saw and drilled them to take several lengths of 1/8″ bronze brazing rod – which I then soldered in place. I connected the plastic top and bottom together with some lengths of aluminum angle iron and then gave them a coat of Krylon semi-flat black spray paint. 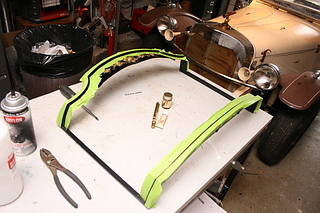 When the paint was dry I masked off some of the trim using “FROG Tape” from Inspired Technologies – it works much better then regular painter’s masking tape. 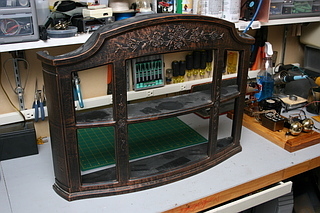 I hand painted the trim with a brush and a small pot of gold paint which I then proceeded to spill into my lap. The Lady von Slatt has taken to calling me Goldmember. Next I fabricated the back from perforated aluminum and pop-rivets. 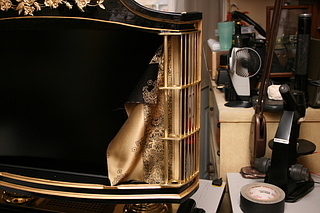 After giving the front top and bottom pieces as well as the brass side pieces a coat of clear lacquer I assembled the case and began the process of installing the “curtains” for my stage. 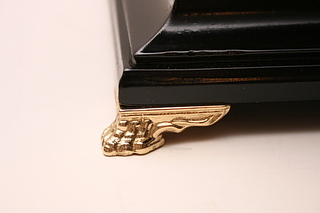 I also added these lovely little brass feet that I got from Whitechapel Ltd. 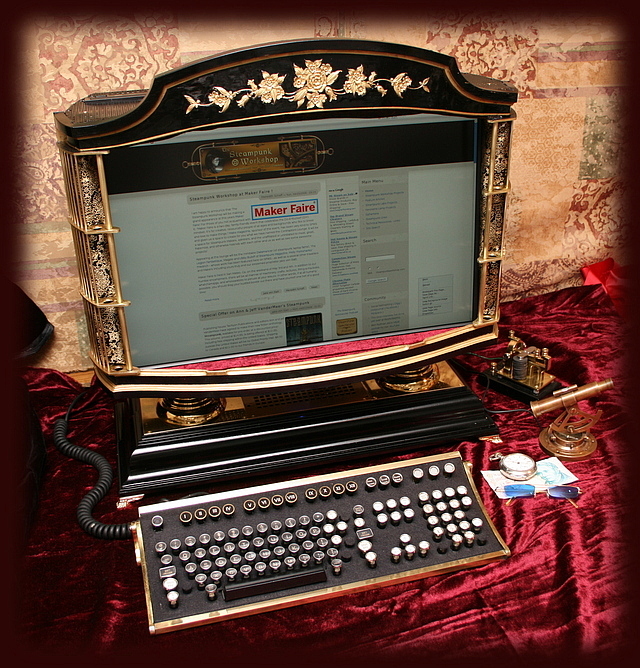 Finally, here is the completed Victorian All-in-One PC and with Kubuntu 7.10 (Gutsy Gibbon) installed it is fit for the office of Queen Victoria herself somewhere in Torchwood House. 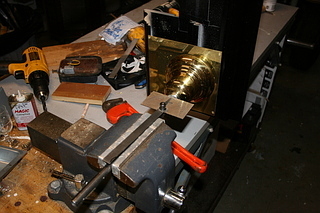 There wasn’t quite enough room to fit the fan inside so I brassed it up and mounted it on the back. It’s strapped to the 5 volt rail so it turns at half speed and is very, very quiet. The PSU fan also runs on 5 volts. 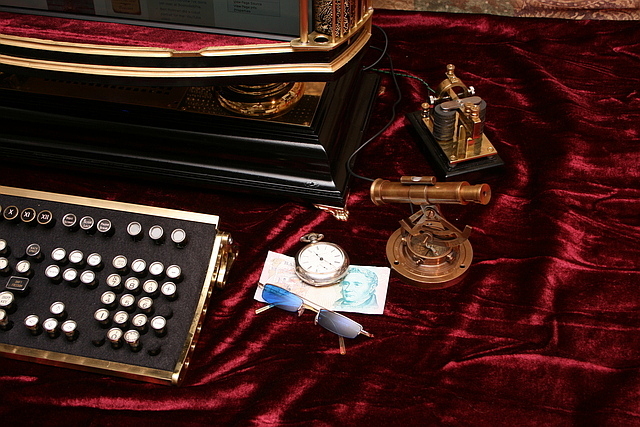 You can just make out the DVD drive, it ejects up through the top of the case. 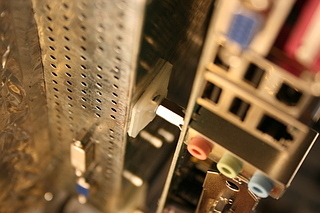 The case fan blows directly on the video card heat sink, hard drive, and northbridge. Don’t ask me about the pointing device, I cannot speak of it. This is lovely! 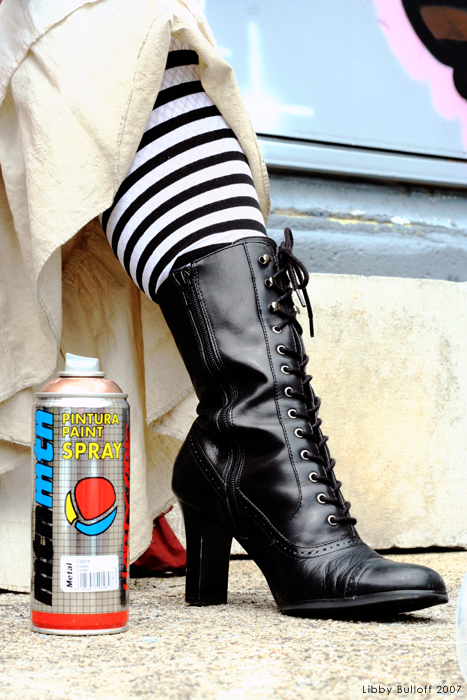 The blend of hand crafted with restyled is perfect and natural. Man, you are a genius !!! May I use your photo of the completed masterpiece as background art on a conference booklet? I work at Pearl River Community College, which is one of the oldest community colleges in the nation. 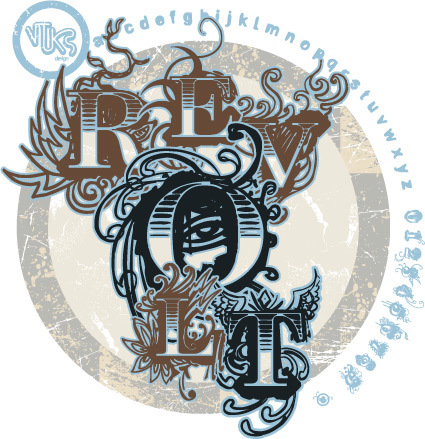 We are sponsoring the state’s community college creative writing contest, and I’m tasked with making a cover for the assembled winning submissions. 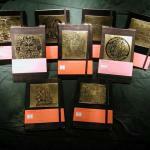 I plan to credit you on the inside cover. We are not charging anyone for this document, and I doubt there will be more than 100 copies made. 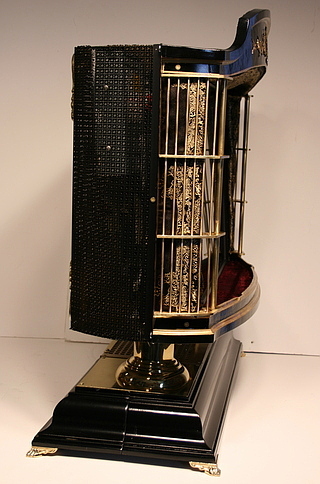 Your design choices, especially for colors, reminds me of the famous Sphinx model Singer treadle sewing machine. Sure! 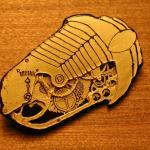 All of my images here are Creative Commons Attribution licensed. 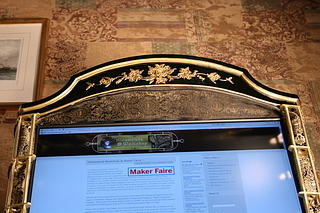 Meredith is Live Blogging Maker Faire: Austin!